The Iberian Peninsula, 1809. French troops led by one of Napoleon's best generals are massing on the border. Wellington's outnumbered force and his unreliable Spanish allies need to pick off the smaller French units if they are to stand their ground. For that they need information: accurate intelligence on numbers, arms and whereabouts. That's where Captain Keane and his company of reformed scouting officers are invaluable tools - despite being unpopular with the regular soldiers. But it soon becomes apparent that someone high up in Wellington's headquarters is a spy for the French. Only someone able to travel widely outside the camp, someone privy to battle plans, could be the double agent - and Keane's enemies within the army are quick to point the finger. Keane must defend his crew against their accusers - or root out the traitor himself. 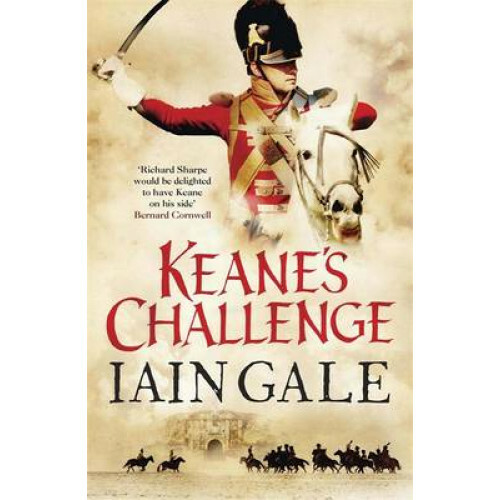 Keane's Challenge draws a fascinating picture of a disparate group of men brought together in a Peninsular War adventure that sees maverick hero Keane ride again. Iain Gale, art critic, journalist and author, comes from a military family and has always been fascinated by military history. He is an active member of the Scottish Committee of the Society of Authors and the Friends of Waterloo Committee. He is the Editor of Scotland in Trust, the magazine for the National Trust of Scotland, and founded the Caledonian magazine. He lives in Edinburgh.